I’m working on a customer where I’m responsible to setup BO security for Lumira. I’ve hit a few issues along the way. Some of the issues I wasn’t able to find in any google search or post and some I was able to find. So I’d like to share this with the community. This will be a living blog as I work my way through setting up security for Lumira at the customer. 2) Users that can develop new reports and modify existing reports. The customer is taking on the full self service model, where end users will be the developers of reports. Okay now to explain some business scenarios. They also find they get a similar error message when trying to edit and over-right existing Lumira documents. Hope this helps, I’ll post more as I find it. Or leave questions in the comments below. 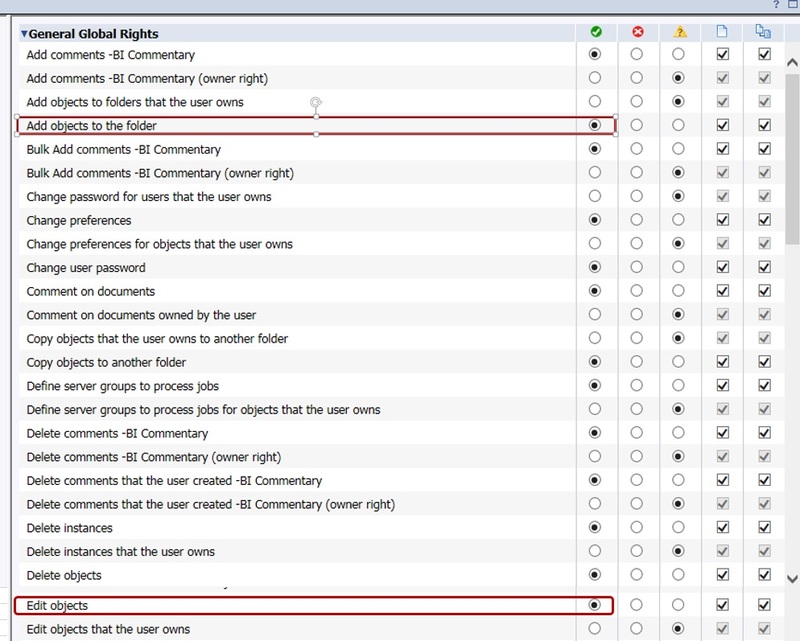 In my blog i’m showing the configuration for allowing a user to save new Lumira reports and over-right existing Lumira reports. I believe the screen shot you have supplied only allows users to View and Refresh Lumira reports. I have tried your suggestion and it does not work for me. 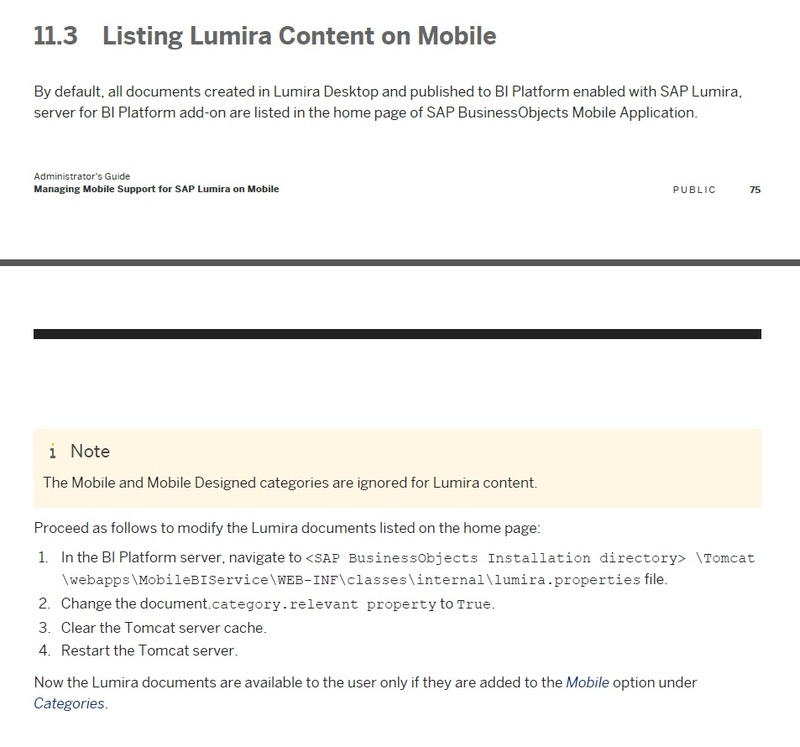 I have also tried ticking the Add and Edit access in the Content > Lumira section…it also does not work for me. The User still gets the same error message. 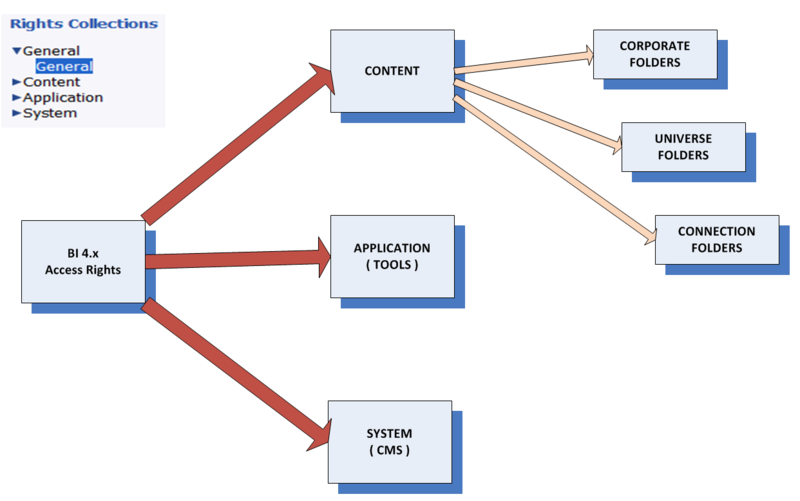 When you apply security using Access Rights, it is applied in 3 areas (Content, Application & System). In you case you need to have Access Right to first give them different levels of access to the Application and second they need Access Rights to the content (folder).